Tuesdays are pretty fun in the blogging world. There's a couple of linkups and no matter what the topic, I am tasked to keep it light. This week, I'm linking up with Jill Conyers and Jessica Joy. The subject? Come up with 5 people we would most like to workout with. Oh man. I imagine this is kind of like filling out one of those online dating applications. Not that I'd know anything about that. I'm married. But in all seriousness, what would I look for in a dream workout partner? And do I want it to be a runner? A yoga instructor? 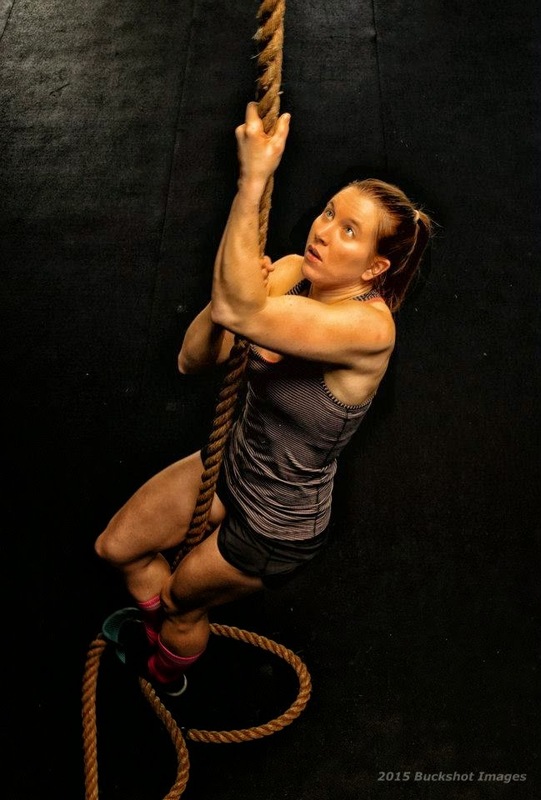 A crossfit instructor? A cyclist? A guru? Who do I want to run with? You know I like to run alone...Should I pick someone famous? If I had to pick, I want someone who has been running for a long time, someone who has run all the distances (not including an ultra), who will share their experiences and knowledge about running with me, and will keep me occupied with funny stories while I try to do my part to keep up with them. There's some pretty inspirational women that I'd love to meet: Katherine Switzer, Linda Sommers Smith, Joan Benoit Samuelson, Deena Kastor, Jenny Hadfield, Lauren Fleishman, Shalane Flanigan, and Kara Goucher, just to name a few. They'd all be so much faster than me though. So if I had to pick someone to run with, just to pick her brain, and laugh a ton, it would be Beth Risdon from Shut Up and Run. I've been following her blog for several years, and she never fails to put a smile on my face with her posts. I admire her grit and tenacity as she pushes through tough runs---and doesn't mind sharing stories about "the runs". Ahem. No pun intended. I think I'd be totally entertained. Unless her running personality is completely different from her blogger personality. Stranger things have happened. Plus I think her pace isn't much faster than mine. Win! Oh, this is another tough one. There are a lot of yoga celebrities (yogalebrities?) with DVDs and videos. Rodney Yee would be awesome, but he's a little too much yoga for me. Christine Felstead also is a great instructor but she's a little dry for me. The person I'd love to do yoga with is actually famous, but she's a runner and a yogi, and I think that would be perfect. Sage Rountree has books, DVDs, a monthly online yoga subscription plan, and she teaches a lot of yoga for athletes classes. She's warm and explains things really well. She seems down to earth and normal, which is a plus in the yoga world. Who comes to mind when you think about a trainer? Jillian Michaels? She scares me. I don't like that. I know very little about the world of personal training. All my knowledge comes from my weekly training sessions with Becky. I'm sure there's CrossFit celebrities, just like in any sport. But I'm going to stick with what works. I can't imagine anyone being more knowledgeable or effective than my coach. What the hell is a guru? And how do I find one? I imagine that a guru is someone who guides you spiritually and otherwise, through life. Kind of like a therapist, I think. Have you read The Happiness Project by Gretchen Rubin. The book is the story of her yearlong quest to find happiness. Since the publication of that book, she has written several other books on happiness. When I read her books, I thought to myself, who doesn't know all this? It seemed almost simplistic. But if you think about it, there are a lot of really unhappy people. Actually, I am a pretty happy person, but I do have this type A++ personality, and it would be nice to have someone to continually remind me to slow down, to be in the moment, to be more accepting of myself and others, to be more patient. I know what I need to do, but I'd love to have someone in my life to help me find ways to be a happier person. Coming up with this list was a little tougher than I thought! I'm so blessed to have so many awesome runner and workout friends in my life, that I don't know what more I need. And that's a good thing. Who would be your dream workout partner(s)? Why? Here's the link up! 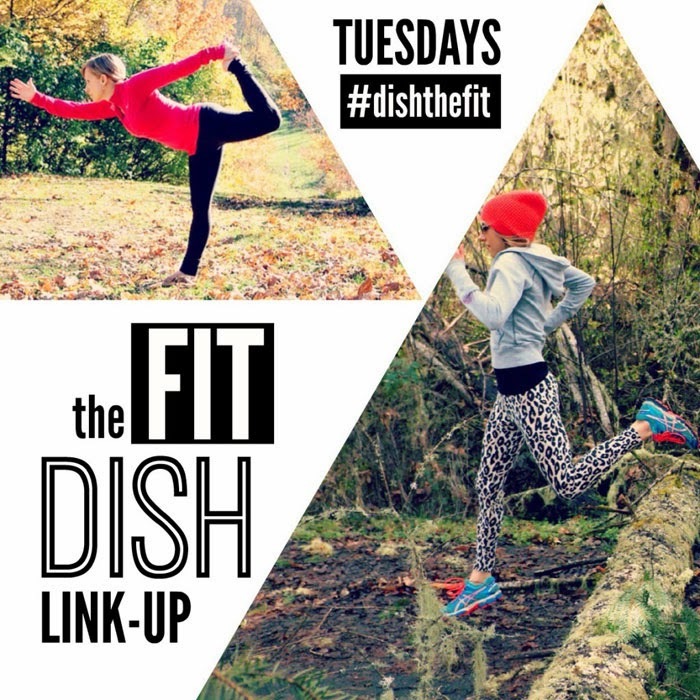 Be sure to head over to both hosts to see what other bloggers are saying! Hmmm, this is a tough one for me since running is my sanctuary of sorts, so I don't know that I'd enjoy running with a famous running...and I'd be too star struck to move...I would LOVE to get coached by my buddy Sean Sarantos that I was stationed with in Texas. He's now moved on to be a spokesperson for beast sports nutrition and is rocking his fitness career. That's awesome! When I first saw this linkup, I thought, piece of cake! But it was tougher than I thought! That is cool. Very interesting list. I miss my cycling buddies from Virginia so I would love to do a nice gravel ride with the Veloville shop ride regulars, and a road training ride with my (now virtual) tri coach and team Sportfit. The whole speed things is something, so if I were next to someone on a treadmill or a bike trainer, it would be cool to talk to Chrissie Wellington or Dave Scott or Mark Allen or Dean Karnazes or any of those legendary folks. I'd love to talk with any of those celebs, but to run with them would be so intimidating for me!!! This was much tougher than I thought it would be! I've met a lot of awesome people through my blog. It's nice to have some like minded friends! Isn't that the truth? It was a lot tougher than I thought tho!!! This was way harder than I would have thought! Wendy, I love how you really dug in! WOO! You are well versed in the fitness experts of the world. NICE. Picking all their brains would be amazing, and I too need to workout with someone with a sense of humor! I love to laugh, and be silly. My last race I learned, 'If it isn't fun, what's the point?' and it's stuck with me. Thanks Lovely! I don't know about that but I know what I like and need! It's great to reach for the stars but how can I pick their brains if their running 2x my pace? I loved this topic! Really fun. Thanks for hosting! When I was writing this, I thought about all the people I want to run with and you were at the top of my list! We will! Hopefully this summer! Wonderful choices for workout partners and all for great reasons. 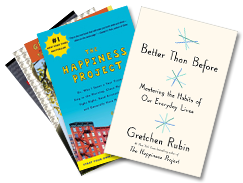 I love The Happiness Project :) I'm guessing I could talk to Gretchen Ruben for hours. How awesome would that be! great choices! New to me but that is all good, I love that you picked people with a sense of humor and personality- so Important! :) We shall run one day my friend! I would love to run with Kara Goucher or Shalane Flanagan! But the list is endless really! I think I would be too nervous and self conscious to run with either of them! I love that you picked one for each! For running...MEB! If I had to pick one, but really the list is a mile long. Not sure about cycling, but for yoga I would love to practice with Shiva Rae. We did a month of a series that was inspired by her and the movement was just beautiful! I thought about Shiva Rae, but I'm not graceful and I think she'd intimidate me! I think for running I'd go with KSwitz. I call her that now since I met her at NYCM. Meb would be awesome too! Such a kind, genuine guy. I love that you call her that! And yes, Meb is a great choice.